I just finished spreading two of the four large leaf bags of mulch I made recently. I wore Targa 2 “Racing” Goggles we had on hand while I did it, not wanting a repeat of the eye scratches I got when I made the mulch a little over a week ago. The next step is cleaning out more brick flower planters. THEN I can probably distribute the rest of the mulch. 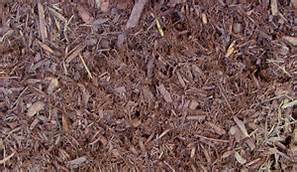 Actually, I DO find it exciting that I can make my own mulch, cleaning up many of the leaves in the yard as I do, and not have to pay for bag after small bag of mulch I used to buy at the local hardware store each fall. As I remember, it was about $3.00 or so per bag, and I used about 20 of them one year. So I’m saving money, cleaning up, recycling, and mulching my plants for the winter! And, between the weeding and cleaning out of my square foot garden, plus distributing the two 39 gallon trash bags of mulch, I’ve gotten a good amount of exercise and fresh air today. If the weather is cooperative tomorrow, I’ll try to get more planters cleaned out, working my way around the yard.